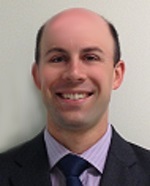 Chris Parker is the Associate Department Head of In-Vivo Biocompatibility at Toxikon Corporation. Since joining Toxikon in 2007, Mr. Parker has worked closely with medical device manufacturers to develop their testing programs and support their regulatory product submissions. His areas of expertise include medical device biocompatibility and efficacy in which he has managed scientific studies from initial inquiry through report writing and FDA requests for additional information. Mr. Parker has authored and co-authored numerous journal publications and white papers and is a member of many AAMI BE and ISO TC/194 working groups for ISO 10993. Mr. Parker received his B.S. and M.S. in biology/biotechnology from Worcester Polytechnic Institute and his M.B.A. from Bentley University with focus on scientific operations and marketing.